U.S. states have a small range of health insurance companies to choose from, but which one is the best? What decides one health insurance company is better than another? There are over 30 licensed health insurance companies in most U.S. states. Each company has a diverse quality of offerings when it comes to insurance, which in turn, keeps the market competitive. For help finding health insurance quotes, enter your zip code in the box now! According to U.S. News, the premiums sold to U.S. citizens by health insurance companies were in the billions of dollars in 2009. The most popular of health insurance companies, who ranked within the top 25 according to the National Association of Insurance Commissioners, pulled in nearly two-thirds of a total of 650 billion dollars. Several things come into play when choosing a top ten health insurance company. Financial stability of the company is one. A.M Best, Moody’s, Weiss Ratings, and Standard and Poor’s are great rating companies to use when comparing. These companies rate individual companies on both financial outlook and credit rating. Other things to consider are the company’s actual overall value. According to U.S. News, how much a company sells in premiums is an important indicator of its popularity. The more premiums sold the more customers each company has. This being said, the following health insurance companies are rated from one to ten in their market share value. Serving in the millions worldwide, UnitedHealth Group has six businesses in one group. They offer a modern health care system with all the variety six businesses in one can provide for a customer. Wellpoint Inc. Group is one of the larger U.S. health insurance companies. This company has affiliated plans and subsidiaries that account for one in every nine U.S. citizens health insurance coverage. They offer several services in order to meet a wide range of clientele needs. Humana Group has a large and diverse line of business. Because of their diversity, they are able to serve many different customers, which have made them another contender in the health insurance industry. Not only do they focus on large companies, but their plans cover those who are self-employed, military customers and seniors. 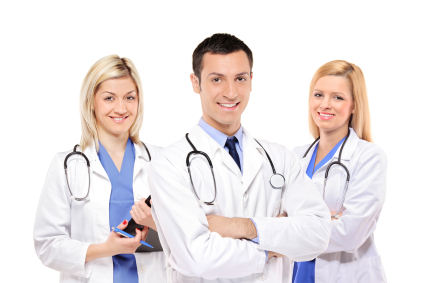 Also known as Health Care Service Corporation, HCSC is a company that is customer-owned. Their plans include a large array of products, which is afforded through them, their affiliates, and their subsidiaries. Serving in all 50 U.S. states, Coventry Corp. Group has products available for both group and individual needs. Not only do they have individual and group plans, but they also have Medicaid and Medicare programs as well as specialty services. Created in 1996 by the consolidation of Blue Cross/Blue Shield, Pennsylvania Blue Shield, and Blue Cross of Western Pennsylvania, Highmark is one of the larger U.S. health insurance companies. Independence Blue Cross Group, also known as IBX, is Philadelphia, Pennsylvania’s leader in health benefits for employees. They offer a wide range of health insurance for their customers and have an advantage of longevity. They’ve been in the business for over 65 years. Blue Shield of CA Group offers California residents some of the larger HMO and PPO networks in their health insurance plans. They also offer health insurance for small, midsize, and large/national groups. When considering a health insurance plan it’s not only a good idea to go with a company with a proven track record, but to choose one that fits your individual needs. Being able to prioritize what’s most important in health insurance can save you time and money when choosing. To research health insurance rates online you can go to this webpage, type in your zip code and compare!